If you are buying a property abroad, the purchase price will usually be payable in a foreign currency, meaning that the money you will be using to fund the purchase will need to be converted into that currency when being transferred overseas. By treating this overseas payments in the same way as other single currency payments however you may be costing yourself hundreds if not thousands of pounds. The rate of the currency exchange can have a massive impact on foreign payments however it is often a forgotten aspect amidst all of the excitement of buying a property abroad. When making payments overseas, such as the deposit for the property purchase or the balance of the purchase price due on completion, many people often just blindly entrust the transfer to their bank allowing them to convert their payment into the required currency without considering the exchange rate offered by the bank and the impact this could have on the overall costs of the property. Making foreign transfers with poor exchange rates are one of the ways in which high street banks make enormous profits at the expense of their customers. The exchange rates offered by high street banks tend to be highly uncompetitive and may also be accompanied by huge commission charges just to transfer the money. When you are transferring the amounts of money required to purchase a property, just a small difference in exchange rate can end up costing you significantly more than necessary, often thousands of pounds. It is highly advisable to make the transfer through a recommended currency specialist rather than making the transfer through the banks. One of the reasons for this is that the exchange rates offered by foreign currency brokers are much more competitive than the rates of exchange offered by the banks, often by a considerable amount. The services of a currency specialist is free and a can also save you further money when compared with the banks as, not only do they offer superior exchange rates, they don’t charge the excessive fees that the banks do just to transfer funds. The reason that currency specialist companies are able do this is due to the volume of foreign transfers they make and the fact their sole aim as a business is to offer ‘bank beating’ exchange rates. Currency specialists can typically save around 3-5% of the transfer value when compared to the banks. 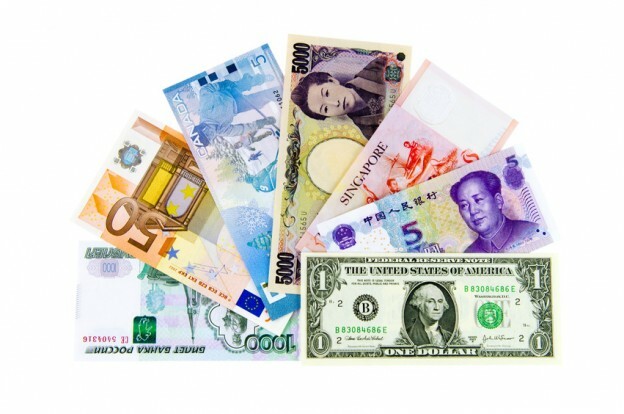 Foreign currency specialists can help in a number of additional ways too. For example they can arrange to set sterling budgets and rates for your transfer so you will know exactly how much will be transferred at a given time without leaving matters to the mercy of the fluctuations at the time of the transfer. You are buying a property in Spain for €200,000 but your funds are in GBP. So you will need to convert your GBP to pay the €200,000. By using a bank instead of a currency specialist, your would have paid £4498.42* more for the property. *Exchange rates are subject to change. As shown by the example above, a small amount of research and planning can make a vast difference to the amounts actually paid for your overseas property. Using a recommended foreign exchange specialist is not only cost effective but also very time efficient. You can set up an account and send a payment within minutes. It is simply a case of transferring funds to a this separate account where the money can be exchanged and the relevant currency forwarded on to the desired account. It is however recommended to contact a currency specialist as soon as you know you will need to make or receive an overseas payment as a good currency specialist will also be able to advise you regarding the timing of the transfer to help you get the most from your money. A good currency specialist will also be happy just to give you some information about how they can help. You should ensure you use a recommended currency specialist who is regulated by the Financial Conduct Authority. For details of a recommended and regulated currency specialist and to discuss how they can assist you, please get in touch with Worldwide Lawyers on 01244 470339 or email us at info@worldwidelawyers.co.uk.